Want to feel like the Emperor? 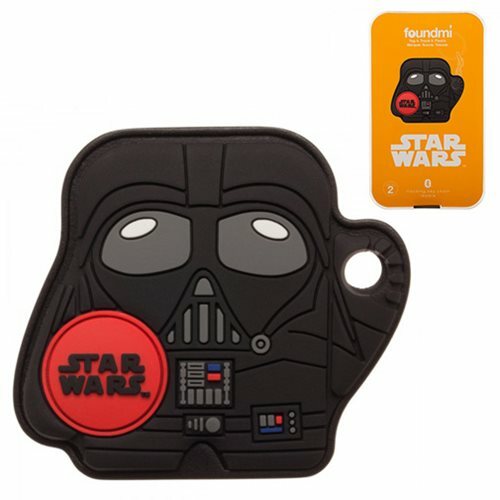 This adorable mini Darth Vader will obey your every command, although force choking is out of the question. Fortunately, he makes up for it by using the force to track your belongings. Attach the Star Wars Darth Vader Foundmi 2.0 Bluetooth Tracker to anything and you'll be able to find it easily with the Foundmi app. Simply download the Foundmi app from the app store and pair it to your Foundmi Bluetooth tracker using any IOS or Android device to start tracking. When in Bluetooth range you can use the alert function to emit a loud alarm, allowing you to quickly find your stuff. Foundmi 2.0 can also ring your phone if you lose that - just double tap the logo on your Foundmi tag to trigger the feature and find your phone fast. It also works as a camera shutter, allowing you to take "long distance selfies" and wide group shots! It includes a key ring for your keychain or bag and a 3M sticky if you perfer to attach it to your laptop or other hard surfaces.